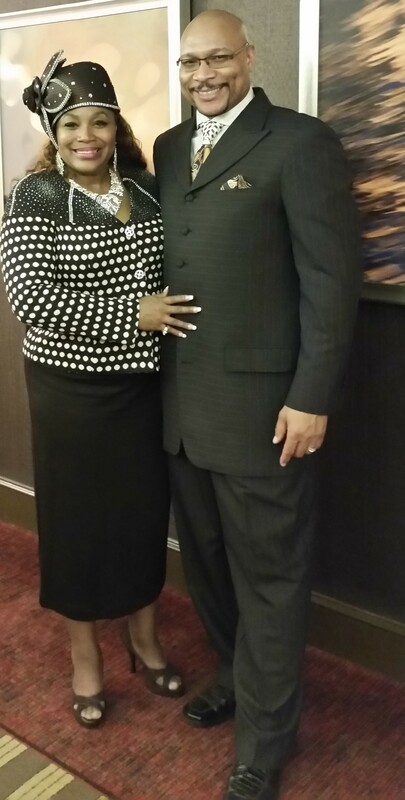 Brenda J. Granison is the First Lady of New Creations Ministries Church of God in Christ, where she proudly serves with her husband and pastor, Supt. Darrick W. L. Granison. Her love for God is evident in her humble nature and her ministry to the congregation and community. She has worked to strengthen the Women’s work through an enhanced organizational structure, meeting regularly to promote unity and leadership. She is also an active force in New Creations Ministries, currently serving as president of the Women’s Department. First Lady Granison is the proud mother of two beautiful daughters, Daria BreAnn and Jazmine Nicole. First Lady Granison is a graduate of Buena Vista High School. She matriculated to Michigan State University where she received the Bachelor of Science degree. Her secular work involvement has primarily been in Human Resources. First Lady Granison is a natural born leader because she touches a heart before she asks for a hand. As an untiring servant at New Creations Ministries, she helps impact the lives of others by providing services that will equip and give them skills, while building the community as well as building lives. Sis. Granison shares the vision of her husband as they work together in ministry to provide a catalyst for change for the S.N. Frazier Memorial District. As for Jurisdictional appointments for the Minnesota COGIC, she served as the Marketing Director for Bishop Fred Willis Washington. Who can find a virtuous woman? For her price is far above rubies. “Proverbs 31:10 Without question, that’s no easy task. Yet, the New Creations Ministries family will tell you they recognize the blessing that God has placed in their midst. In more ways, than one, Sis Brenda Granison is truly a priceless “First Lady of Grace”.